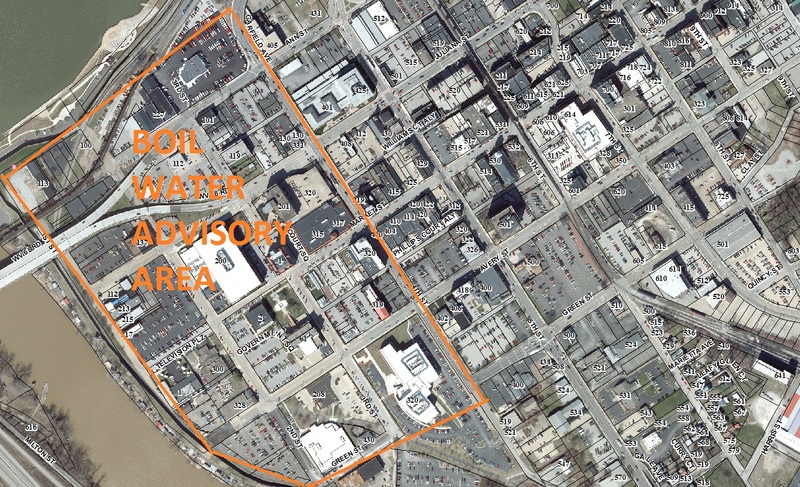 The Parkersburg Utility Board has issued a Boil Water Advisory for portions of Downtown Parkersburg. The area impacted includes Ann Street to Green Street and 1st Street to 4th Street. To read the full advisory, please click here. For more information contact the Utility Board Office at (304) 424-8535. Due to the anticipated change in weather conditions at the Industrial Fire located at 3801 Camden Avenue, the smoke cloud may be driven closer to the ground effecting homes in the immediate area. For those persons that may be effected or prefer to avoid these conditions the American Red Cross has established a voluntary shelter at the South Parkersburg Baptist Church located at 1655 Blizzard Drive Parkersburg. Public Works Department Appreciation Day! 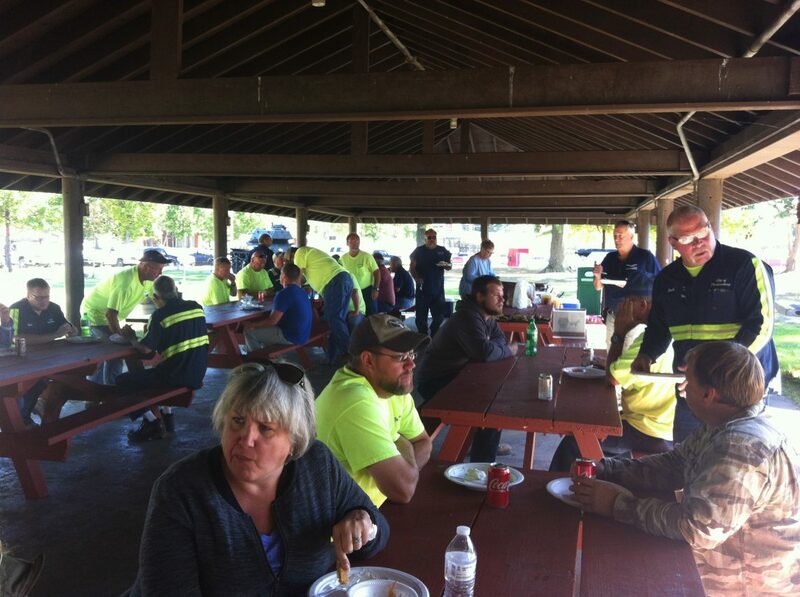 Today, the City of Parkersburg’s Public Works Departments enjoyed a nice appreciation lunch at the City Park. Thank you for everything you do for the City of Parkersburg! Homeownership is the foundation of security and prosperity for families and an enduring symbol of American Freedom. The City of Parkersburg is committed to creating long-term neighborhood stability and household wealth. To give more people of modest means an opportunity to own their own home, the Parkersburg-Wood County HOME Consortium is pleased to launch the Downpayment Assistance Program (DPAP). In partnership with local banking institutions, the City of Parkersburg Development Department will now start accepting loan applications for downpayment assistance and/or loan closing costs, up to $10,000. The Consortium’s loan will be forgiven if the qualified applicant resides in the property for at least five years. The program was established to help qualified, first-time homebuyers defray some upfront costs associated with homeownership. Under the HOME Program’s regulations a qualifying applicant for the DPAP must be a low-and-moderate income person, family or household as defined under HUD’s Section 8 Income Guidelines. For example, a one person household’s annual income must be at or below $30,450 annually. A household of four must earn at or below $43,500 annually in order to income qualify. 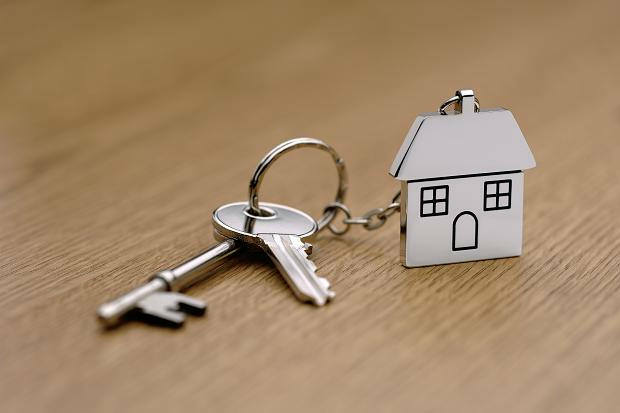 Funding for the Downpayment Assistance Program is made possible by the U.S. Housing and Urban Development HOME Investments Partnerships Program (HOME). This program, as well as the Single-Family Housing Opportunity (SHOP) and Owner-Occupied Rehabilitation Programs are administered by the City of Parkersburg’s Development Department. The Department is proud to administer these programs on behalf of the Parkersburg-Wood County HOME Consortium, which is comprised of Wood County and the cities of Williamstown, Vienna and Parkersburg. Each year the Consortium is allocated funding to address affordable housing needs in the community. To help promote this new program, City staff will host four informational meetings throughout Wood County beginning September 28th. 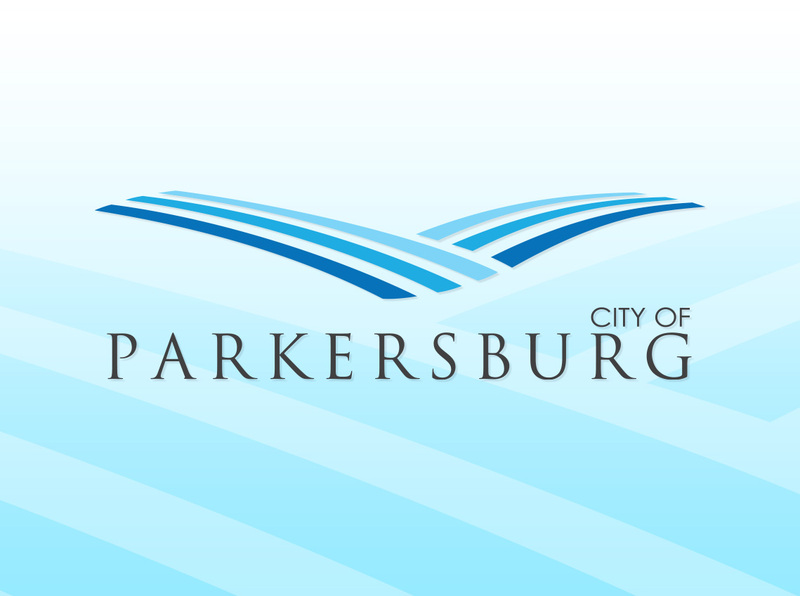 The meetings will outline all of the housing programs, guidelines and benefits available to residents in the City of Parkersburg and/or Wood County. All Wood County residents that would like more information on the housing programs are encouraged to attend. 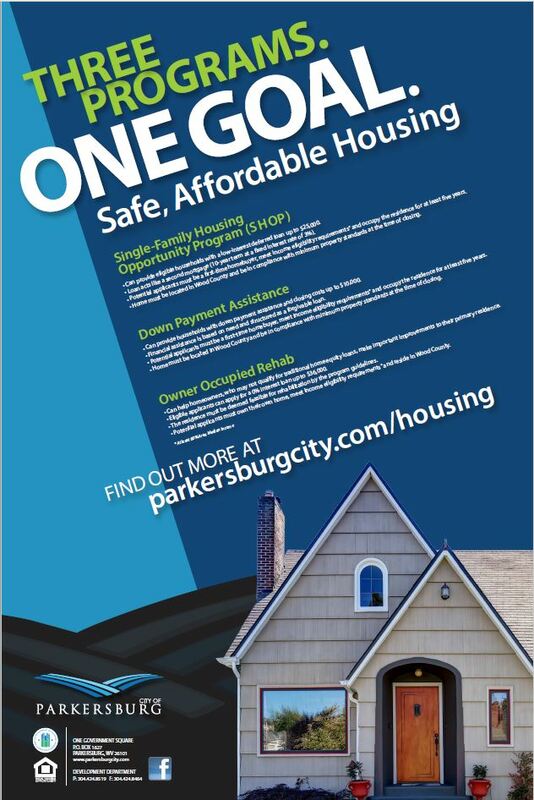 For more information on this, and many other housing programs offered, please visit the City of Parkersburg’s website at www.parkersburgcity.com/housing. For questions regarding the application process, and eligibility requirements for the Downpayment Assistance Program or any other programs offered by the City of Parkersburg please contact the Development Department at 304.424.8519. The City of Parkersburg will hold the annual Urban Deer Archery Hunt from September 09, 2017 to December 31, 2017 in Johnson T. Janes Park. A total of 30 permits will be available through a draw, or lottery process. Applications will be available starting August 10, 2017 at the Parkersburg Municipal Building on the fourth floor. The draw will be held on August 17, 2017 in the second floor lobby at the Municipal Building at 5 pm. First time participants will be required to take a proficiency test on Wednesday August 16 at 5pm. The test consists of shooting five (5) arrows at a target 20 yards ground level, four (4) of which must be in the “kill zone” of the target. 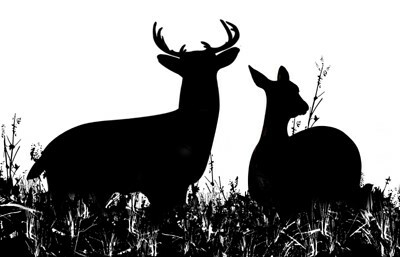 A valid WV hunting license is required to receive a permit. The hunt is archery only. Contact the Public Works Department at 304/424-8559 with any questions. City of Parkersburg is awarded $3,000 from a WVDEP REAP Litter Control Grant! Did you know that the City of Parkersburg operates the largest recycling center by a municipality in the State of West Virginia? The City of Parkersburg operates a curbside recycling program for free to any interested citizen within the corporate limits of Parkersburg. Recycle materials are picked up 5 days a week and is provided in conjunction with refuse pick-ups. Our facility would not be possible without grant funds provided by West Virginia Department of Environmental Protection’s Rehabilitation Environmental Action Plan Grant Program. This year, the City of Parkersburg was awarded a grant in the amount of $3,000 from the West Virginia Department of Environmental Protection REAP Litter Control Grant. This matching grant will be used to purchase new 14-Gallon Recycling Bins for the city-wide recycling program. 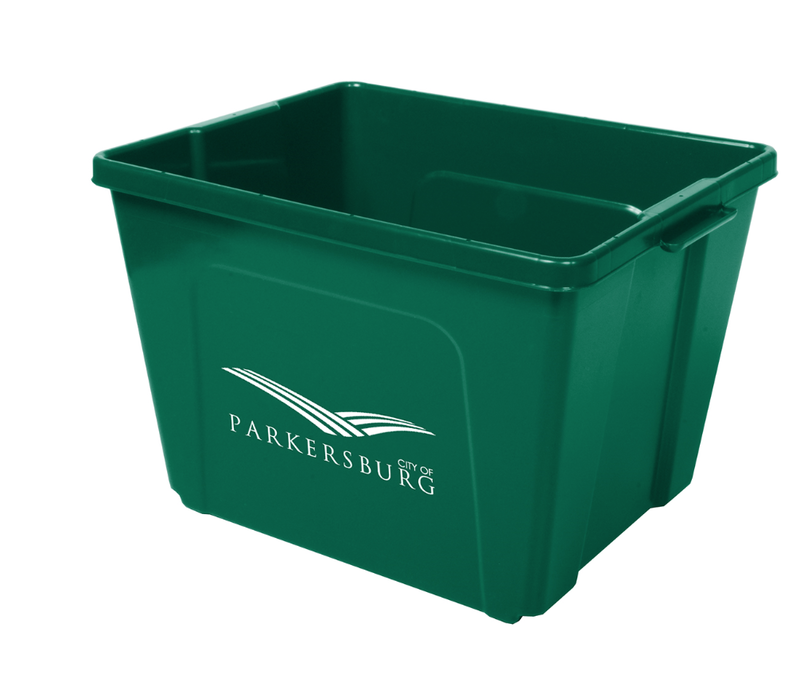 If you are interested in starting to recycle and live within the City of Parkersburg, please contact the Sanitation Department at 304-424-8572 to get a recycling bin and start recycling today! The home to be purchased must be located within the corporate limits of Wood County, WV. Meet the maximum income requirements based on family size [per HUD Section 8 Income Guidelines]. Do you or someone you know own a small business (less than two years) or have a great new business idea? 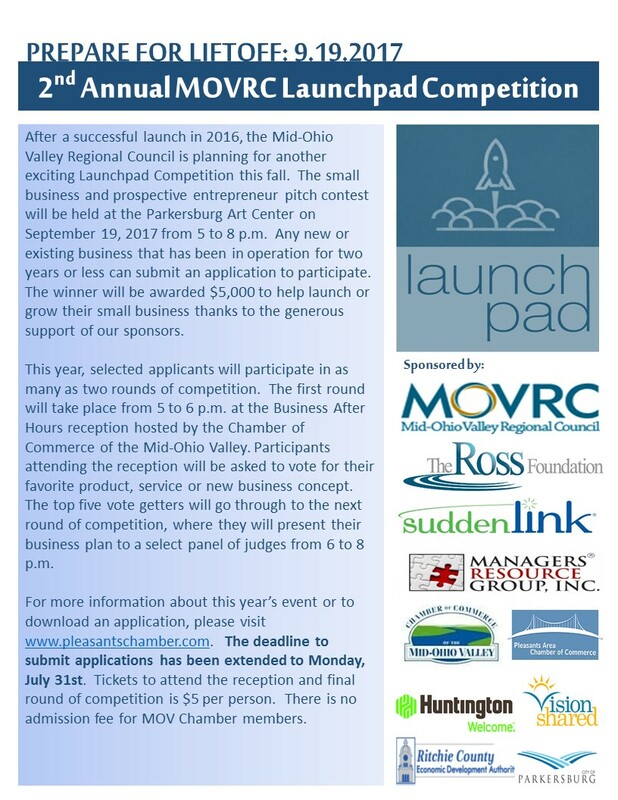 If so, consider participating in the 2nd Annual Mid-Ohio Valley Regional Council Launchpad Competition. Applications are available online and will be accepted through Monday, July 31st. The winning pitch will be awarded $5,000 to launch and/or expand their small business. For more information, please click here.